In 2008, two commercial properties became available at the corner of Main and Bessemer streets, a key intersection in the borough of East Pittsburgh. Both of the properties had been taverns, but were becoming “nuisance bars” to the people who lived nearby. This was having a negative effect on the surrounding homes — including properties that MVI had previously renovated. 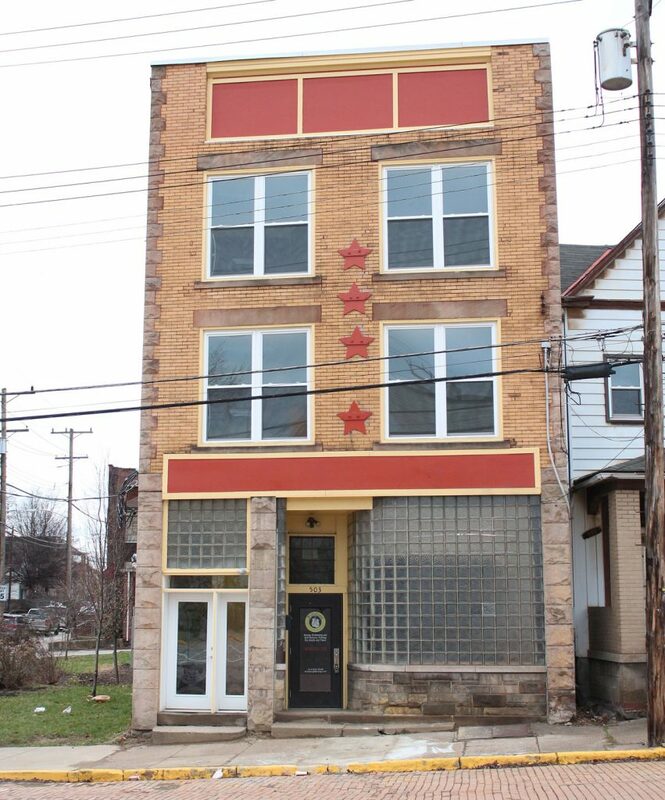 Working with East Pittsburgh Economic Development Corp., MVI purchased the properties, located at 501 and 503 Main, to provide a commercial development opportunity for the neighborhood. After a feasibility analysis of both buildings, it was determined that 501 Main had deteriorated beyond the point of being salvageable. MVI demolished the building to serve as green space and parking for 503 Main. In cooperation with EPEDC and Lami Grubb Architects, MVI laid out four, loft-style one-bedroom units at 503 Main St. that have access to a common laundry. Every attempt was made to maintain and restore the historic exterior while creating highly efficient and marketable rental units. Residential construction was completed in 2018.